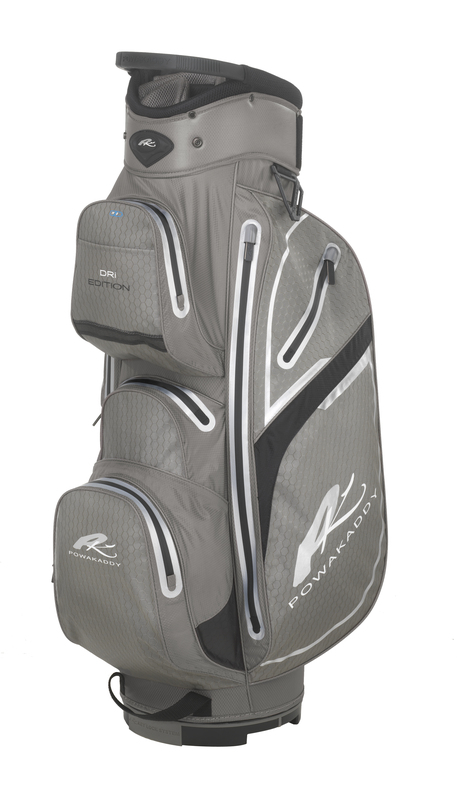 Powakaddy has launched its lightweight Dri-Edition cart bag that boasts four-times the waterproof performance of all standard models on the market. Weighing just 2kg and available from March, the high-performance Dri-Edition bag incorporates a hydrostatic-rated fabric of over 10,000mm, which is four times the performance of most waterproof bags found on the market. Using a super-lightweight Nylon fabric, as well as superior seam-sealing methods and a special coating, the new Dri-Edition bag is available in five colour options, with a classy Gunmetal running throughout.